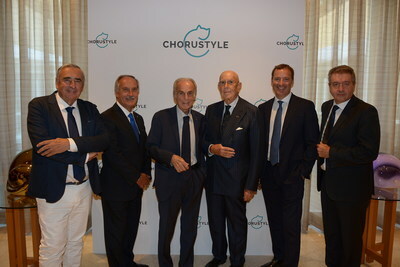 MILAN, Sept. 6, 2018 /PRNewswire/ -- The entrepreneur Domenico Bosatelli officially presented – during a press conference held yesterday at the Four Seasons Hotel - CHORUSTYLE, the brand expressing through fashion, furniture and decorative object design, the fundamental values on which CHORUS LIFE stands. That is, the Smart City project, which hails from the requalification of 70 thousand square metres of an industrial plot in Bergamo, abandoned since the 90's. Founder and chairman of Gewiss – the company specialising in electrical systems, home & building automation and intelligent management of energy, from electric mobility to LED lighting, and counting a turnover in excess of €300 million and a working team of 1,500 people – H.E. Cavaliere Domenico Bosatelli proposes a new model of town based on technological innovation, which will enhance social aggregation and the mixing of generations. The aim is of creating an urban and social format that focusses on the wellbeing of individuals and on quality of life. CHORUSTYLE was formed for this purpose. It strives to interpret the idea of a person's wellbeing and of a forward-looking beauty that is however rooted in history, through fashion, furniture and decorative object design. As a whole, it represents the creative flair and power of expression that have placed Italy on the planetary map of distinctive manufacturing. 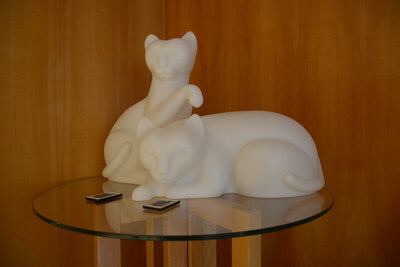 The underlying symbol for this philosophy is the cat, an animal that has garnered timeless fascination, able to quieten souls and express the concept of harmony through its sinuous elegance. Ready-to-wear collections will be designed by skilled persons who fully share the guidelines of the brand, believing that fashion should return to the skills, culture and quality that have historically promoted our brands and companies worldwide. Aesthetics is only one of the facets defining CHORUSTYLE design. Ergonomics, accessibility, materials, environmental impact and performance are the other substantial variables that build its identity.